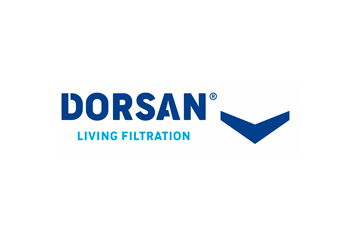 BinNova Microfiltration appointed a new sales partner for Mexico: DORSAN FILTRACION. After years of very positive experience with Domingo Sánchez García and the DORSAN team in Spain, BinNova is happy to successfully expand this collaboration to Mexico. DORSAN has established a new organization in Mexico including a warehouse as well as a paper converting facility, which makes it perfectly positioned to provide the best service to BinNova clients. BinNova participated in the 7th Filtration & Separation Asia and the 10th China International Filtration & Separation Exhibition from 5th – 7th December 2018 in Shanghai. The BinNova team used this opportunity to introduce its latest generation of coalescer media (mainly for air-oil-separation) and high-capacity liquid filter materials to the Asian market, which received overall very positive feedback. BinNova will return to Shanghai for the next edition of this event in 2020. BinNova also passed the ISO 14001: 2015 certification in October 2018. This standard forms the basis for the establishment, monitoring and further development of an environmental management system supporting i.e. the reduction of emissions or the minimization of scrap. Please contact us, if you require further information. BinNova is pleased to announce that it is now ISO 9001: 2015 certified after the audit was successfully passed in October 2018. The ISO 9001: 2015 certification is the most important standard in quality management, ensuring further optimization of our operational processes and thus consistently high product quality. Please contact us, if you require further information.